April is distinctly noted in the diary of every true lover of musical instruments. This is when every year the Frankfurt am Main Musikmesse takes place, the biggest musical instrument fair in Europe. 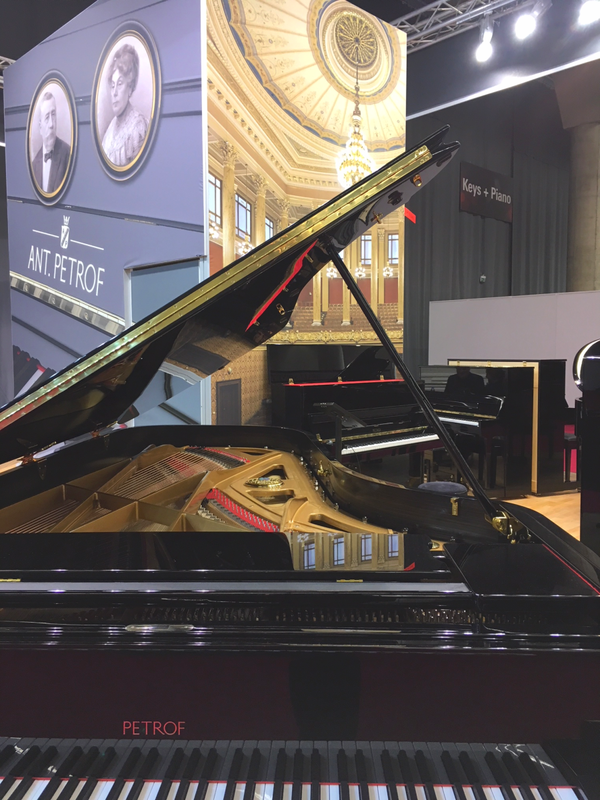 PETROF, the biggest European producer of acoustic pianos, obviously cannot miss out on such an event. From 11 to 14 April 2018 we welcomed many visitors to our stand: business partners, journalists, pianists, technicians and the public. They all found what they were looking for, whether it was the rich, rounded and romantic tone of our pianos, the speed and precision of their action, technical innovations and innovative design. We presented the result of our work with Mr Andreas Dütz, whose AdSilent is so perfectly compatible with our pianos, a combination that ensures each of our customers can practise in complete silence. Lovers of unconventional design were once again enthused by our Magic egg, which was probably the most photographed product in the entire hall. Both the piano and its radiantly red colour prove that we can satisfy even the most demanding customer, whether he requires a special body shape or a non-standard colour, without compromising the instrument’s sound quality. The exquisite tone of our pianos absolutely delighted everyone that sat down to play them, thus fulfilling our main purpose. Also from a business point of view the Frankfurt fair was very successful, and our thanks go to all those who help to develop, produce and sell our instruments.